NYC Psych offices. 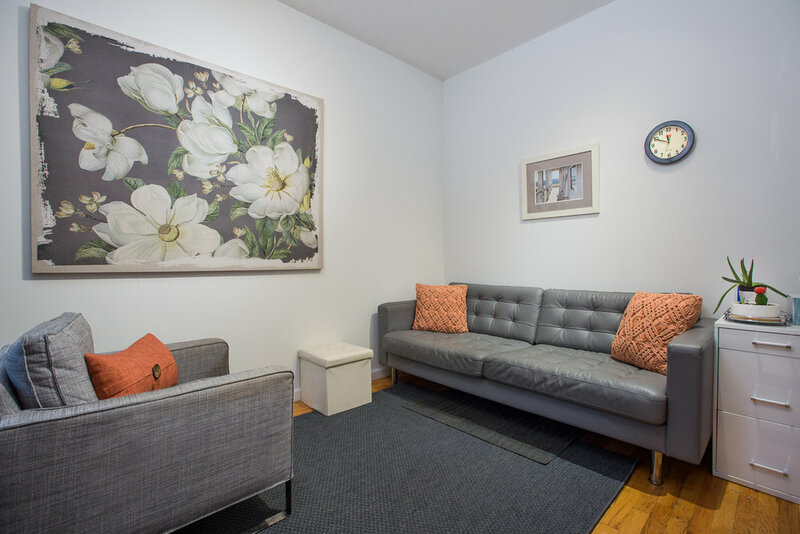 Available both Full and Part time furnished therapy offices designed by therapists. These three offices feature cool toned decor finished with warm accents and lighting creating a calming atmosphere. Each room is unique and features large floor-plans. 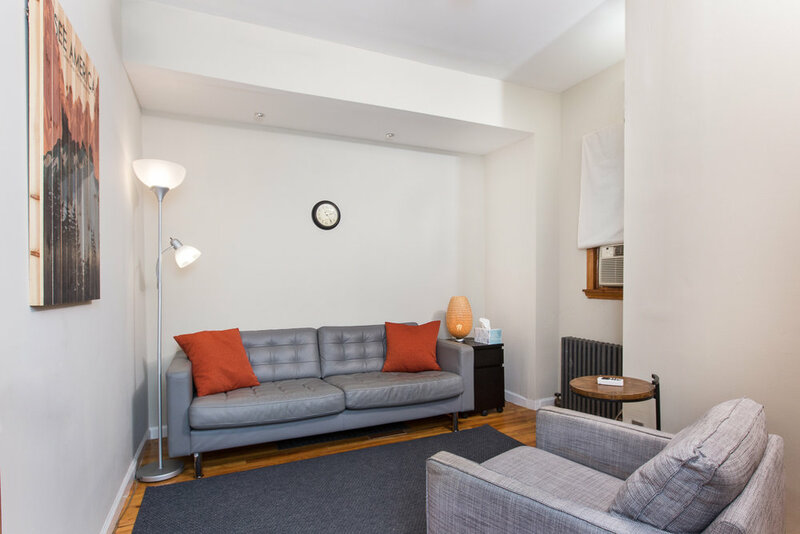 The suite offers independent air conditioning and adjustable radiators. 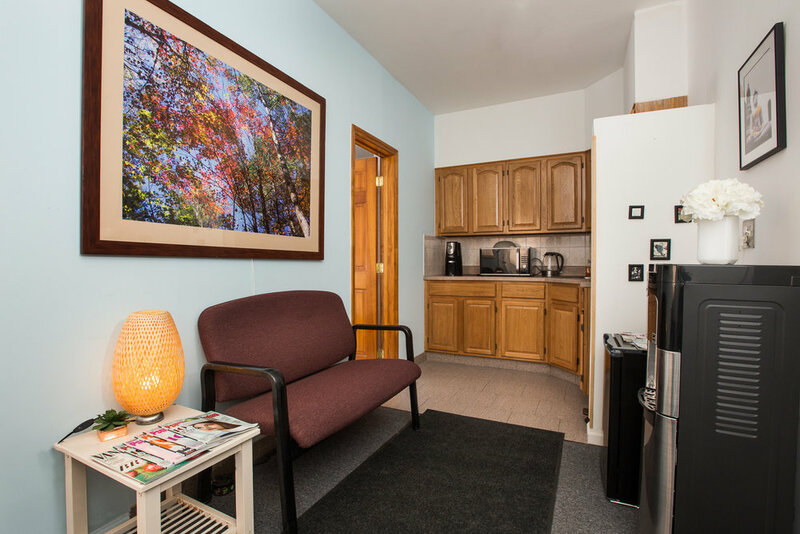 There are great amenities- a full kitchen, well appointed waiting room, free WiFi, free cleaning, and free mail services. The Location provides easy access to residential clientele trains and food.